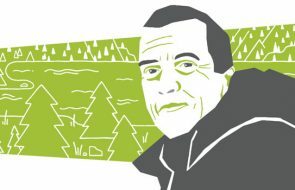 Dear Fred: Real advice for archetypical Albertans. Real advice for archetypical Albertans. I’m worried about government debt, but I don’t want to see any cuts to public services. And I don’t want a sales tax. What options are we ignoring? Sadly, Jocelyn, half a century of Albertans not paying for Alberta’s prosperity has given people like you a strange idea of how prosperity works. During the years when we were roaring through our conventional oil (the stuff that didn’t have to be mined or fracked), prosperity simply arrived. We paid low income tax and no sales tax, and prosperity arrived anyway. Living off abundant oil left us with the notion that we were a blessed people, entrepreneurially gifted, who would always live comfortably—like the royal family of Saudi Arabia. Too many of us believe all that’s lacking is imagination: that there must be a big fat resource we’ve somehow overlooked. I’m sad to say, Jocelyn, that Alberta has been drilled, mined, poked, chopped and torn in every conceivable fashion, and I don’t believe there’s an economic bonanza left in the ground or on top. Albertans, like most Canadians, hate to be told they have money, but the fact is many do. If they cared about Alberta (or even themselves), they’d be willing to pay more for schools, well-staffed hospitals, pothole-free roads, clean air and water. Would pipeline protestors have more right to an opinion if they arrived by hang glider? Or on their hands and knees? On the back of an orca? My Vancouver cousins use oil products every day—but oppose Alberta’s new pipeline. How can I get them to see their hypocrisy? I’m glad that you, Mike, are not real and that I’m not at risk of meeting you should I ever give another public reading in a Medicine Hat library. This frees me to say that the argument that users of oil products shouldn’t be able to protest oil pipelines is nonsense. Whether their reason is that they don’t want the pipeline going through their city or their reserve—or that more pipelines mean less potential for cutting greenhouse gases, or that they don’t want increased danger of oil pollution on BC shorelines—it is simply their right to say so. But how did they get to the rally?!? Would they have more right to an opinion if they arrived by hang glider? Or on their hands and knees? On the back of an orca? Should everyone who goes to a pro-pipeline rally (pro or con) arrive at the helm of a snorting V8, even if it’s only a few blocks and they’d prefer to walk? If I say that Toronto pro sports teams are favoured by national media, do I have to turn off my TV when the Raptors play? If local stores are full of Asian-made clothes, and I’m against sweatshops, should I go naked? Please, let’s retire this argument while we still have a shred of credibility left. Rachel Notley is the best premier Alberta has ever had! Seriously, what’s wrong with Calgary? How can she get Calgarians to see the light? Why, Yusuf, do you think Calgary is so against Rachel Notley? A lot of Calgary ridings voted NDP in 2015, and it’s doubtful that a majority of those have held their breath and turned blue. It’s certainly possible that the non-split right will be too much for some NDP contenders in parts of Calgary and elsewhere in Alberta in 2019. Fact is, we can’t know for sure. People who are certain the NDP will be shellacked are probably reading pro-Conservative newspapers and listening to pro-Conservative radio and TV. 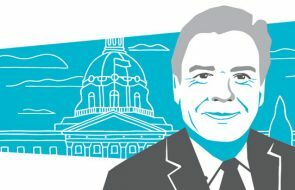 Between broadcast media and social media, the UCP are pumping out anti-NDP messages in unprecedented volume. This could be giving NDP supporters the feeling that Albertans are mostly against them. But is it most Albertans, really, or a few hyperactive politicians with hired trolls? In a post-truth world, the men and women with their fingers in their ears might be the best informed.